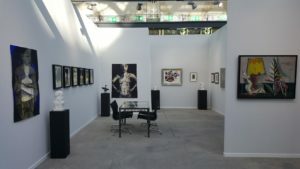 Our booth at Art Paris, after the preview yesterday, is the fair today open from 11.30 – 20.00 hours. 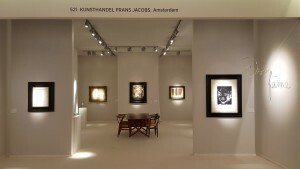 Frans Jacobs Fine Art will again be participating at Art Paris coming April in the Grand Palais. 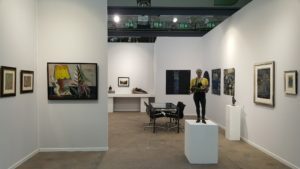 Art Paris will start on April 4 with a preview, and will close its doors on April 8, 2018 at 19:00 hours. 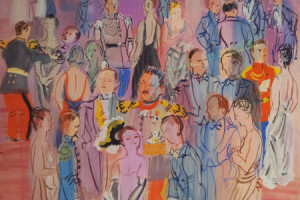 This year we will be particopating at Art Paris. We will show a beautiful new collection of Graham Dean called the dirty yellow series. 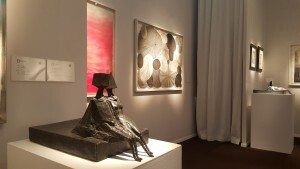 Of course we will also show our modern collection: Geer van Velde, with even 4 oil paintings on display from different periods, next to that we will present André Lanskoy, Karel Appel, sculptures by Lynn Chadwick and Franco Adami. Preparing for TEFAF. The preview will be on march 10, after that open from march 11 – 20. On this grey day BRAFA is open untill 19 hours this evening. 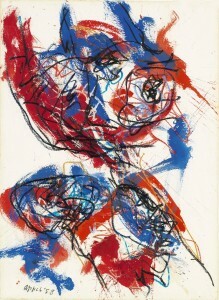 When visiting please pay attention to this work on paper by Karel Appel from 1958. 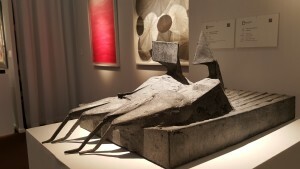 Amongst others we are showing some wonderful sculptures by Chadwick at BRAFA, today even open until 22 hours. 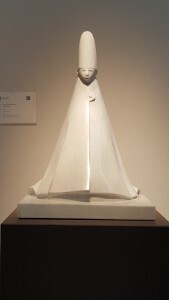 The Cardinale Seduto, a marble sculpture by Giacomo Manzú to be seen at our stand at BRAFA.